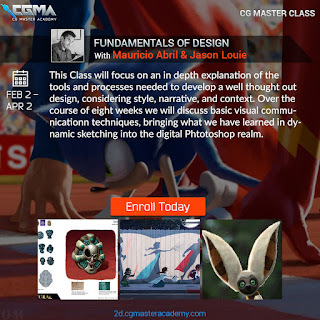 I’ll be teaching “Fundamentals of Design” again this coming term with CGMA. Classes begin Feb 2 and run for 8 weeks. Enrollment now open. For those who aren’t familiar with CGMA, it’s a great online school where you watch lecture videos on your own time, upload your homework, download video-recorded feedback, and get a weekly live Q&A with the instructor.